I think I’m in LOVE! 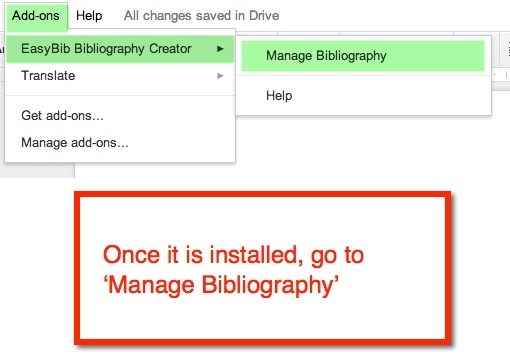 Yes, I love the EasyBib Bibliography Creator in Google Docs (via Add-Ons). 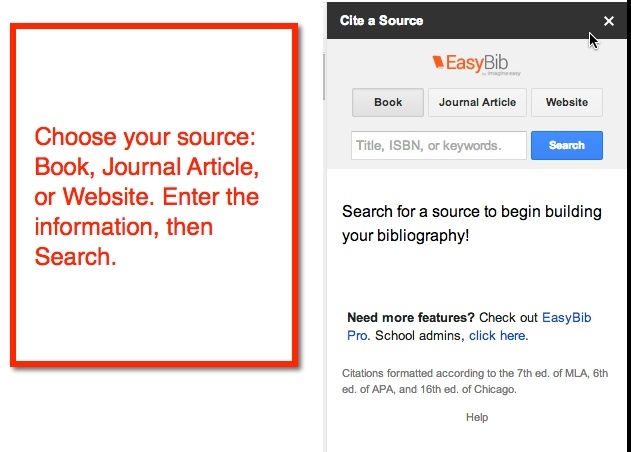 Back in the day when I went to school and wrote reports – only a few short years ago – I had to look up how to cite my sources in a book. 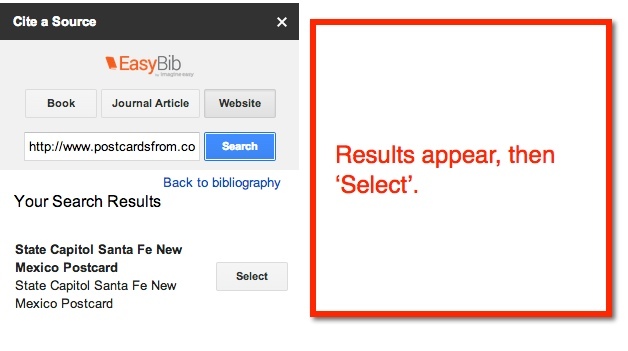 Today, all you have to do is type a few bits of information, and the citation is created for you! See, you’re falling in love too, aren’t you? 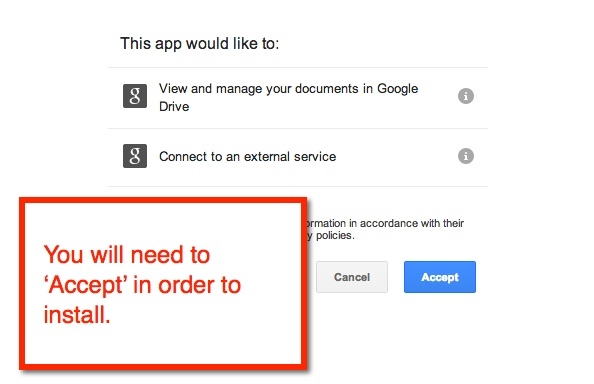 And in case you were wondering, it does save as you work. My 5th graders have been working on their State Reports for a few weeks. 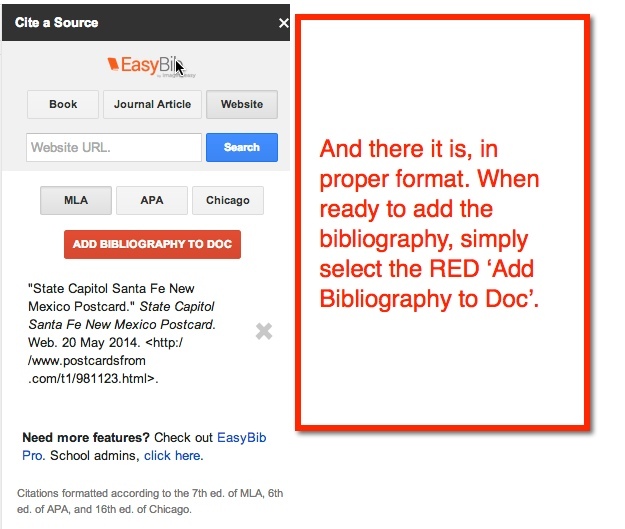 As they find resources, they add it to the EasyBib. When they are ready to add it to their Doc, it’s all there for them ready to insert. Pretty cool, huh? 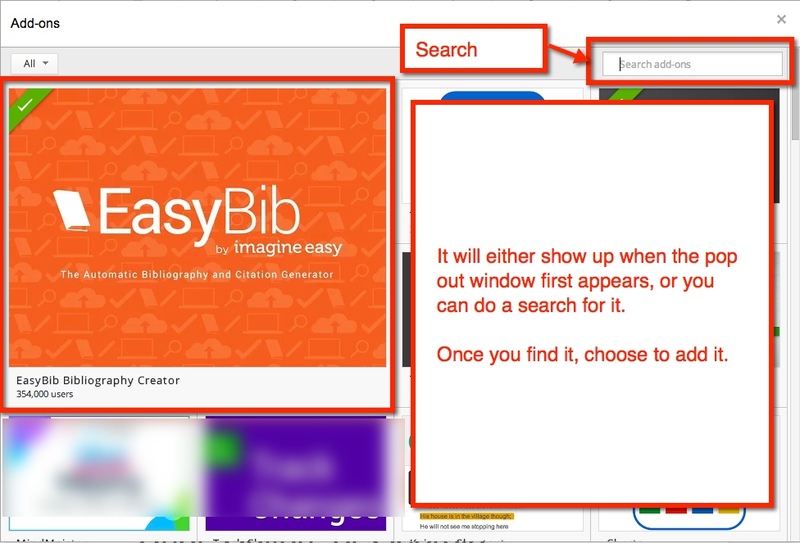 This entry was posted in Classroom, Google, How To and tagged Easy Bib, Google Docs by Admin. Bookmark the permalink.